My Top 10 Best Survey Sites USA! My Top 10 Best Survey Sites UK! Start A Money Making Blog! Make Your First Affiliate Sale Online! What Is Pinecone Research – Is It A Scam? Last updated on December 15, 2018 By Nat Leave a Comment This post may contain affiliate links. We appreciate you supporting Rags To Niches! Full disclosure here. 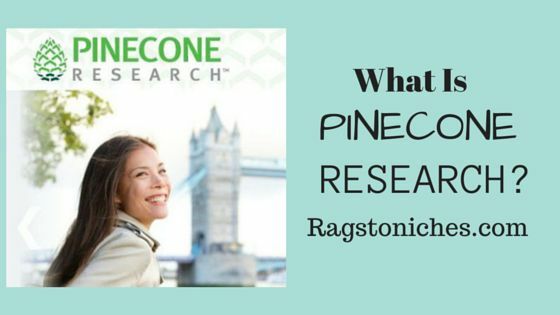 What Is Pinecone Research? Scam Or Legit? Pinecone research is a survey site with a bit of a difference…. In fact, there are several unique features about Pincone Research that sets it apart from just a generic survey site. Typically, what happens with a regular survey site – is you will sign up, answer a bunch of questions about yourself and then choose from a variety of surveys that typically pay a very small amount. 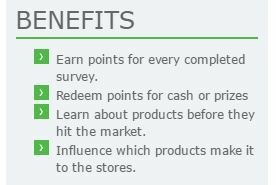 With most survey sites, you may make $1 – $2 dollars an hour. Part of this time will be spent relentlessly being chucked off surveys because you don’t qualify. Most survey sites will take anyone on board that wants to share their information. Normally, there is no special criteria or selection process for who can join. What makes Pinecone Research distinct, is that they ARE selective. This is actually an extremely good thing and highly unusual for this type of site. The demographic they’ll be looking for will change periodically – and they need to know that you are the right match. If you’re already very familiar with survey sites, then you will know that by NOT matching with the exact criteria of a survey – you will just be chucked off. And you’ll be chucked off A LOT, (a majority of the time in my case and many other people besides). So, making sure you’re a good match before they sign you up is good and will mean you will not be disqualified for not being a match. The main issue is, you may not be accepted at all. In fact, sometimes registration is closed altogether. You can keep re-applying if you don’t get on. If you are accepted, a great aspect is that they will ONLY send you surveys that you’re already qualified to do. No more disqualification!!! Since disqualification is one of the most frustrating aspects about survey sites, this is a very good thing. The longer you stay with Pinecone Research, the more you can earn. You could potentially make up to $3 per survey – which, although is definitely not much, is considerably better than a majority of survey sites. You get paid within just a couple of days if you’re withdrawing from paypal! None of this “get paid in 30 days,” nonsense – Pinecone research actually pays you within a reasonable time frame. You can withdraw from just $1! Some survey sites have ridiculously high withdrawal thresholds. For example, $20 is a common one and I’ve seen higher. In my view, the lower the payout threshold the more trustworthy, because survey sites just know that a majority of people joining will not carry on with it. Therefore, most people just don’t reach the payout threshold and they never have to pay. At least this way, anyone can withdraw their earnings whenever they like! You can potentially be eligible for product testing! Getting stuff sent to your home that you can try out for free is a pretty decent benefit and just adds to the value you can gain overall. Who doesn’t want freebies sent to their home? It’s a good perk. Survey sites still pay a minimal amount – no matter what. You’ll still be exchanging a lot of your time for a very small amount of money. It’s difficult to become a member… so you may be waiting a while! But then, that’s the case with many regular sites too. Conclusion – Is Pinecone Research A Scam? Well, I think you can see from this article that Pinecone Research is definitely not a scam. That said, unfortunately they have been the target of certain scam artists who have tried to use them to scam people into signing up to their own sites, one being “mystery shopping” – so, watch out for that. As survey sites go, this is definitely one of the better ones – Pinecone Research are more professional, pay a little more and pay more quickly! Sign up to Pinecone Research here. You’re never going to make a fortune doing online surveys, but you can still make a little extra and Pinecone Research is considered one of the best sites of its kind. However, while taking surveys is “easy,” it’s not very profitable in the long term! Imagine if you spent the next 10 years spending an hour a day doing surveys – what would you have at the end of it? You may have cashed out a handful of gift vouchers or withdrawn a small amount on PayPal. That’s why I always feel that surveys are, ultimately, a waste of time if you’re really looking for a way to make decent money online. You can’t quit the 9-5 by doing surveys. If you’re interested making more online – check out this post: 40+ ways to make your first dollar online! (some opportunities could bring you in a full-time income!). I hope you found this article beneficial – let me know if you’ve had any experience with Pinecone Research in the comments! Other posts that may be of interest…. How to make $100 a day online. Make money from a simple blog. Make Your First $1000 Online!!! Simply enter your email to get started now! Subscribe for my free 5-day email course & learn how to make your first $1000+ online. Can You Make Money Posting Links Online? Microsoft Rewards Review: Get Freebies With Bing! Is Pay Hourly Jobs Legit? Or A Link Posting Scam? !